Ground meat is something that I always find challenging to work with. I often feel like it comes up short in terms of recipe options. 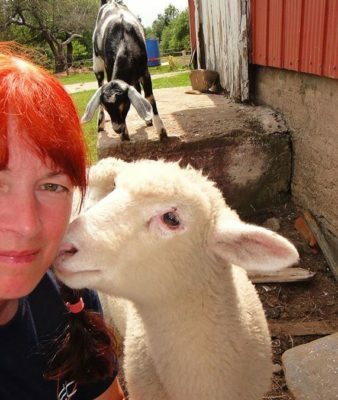 Google “ground beef recipe” and you’ll find a whole lot of hamburgers, lasagna and meatloaf. Don’t get me wrong, I like those things. But seriously, how can something that seems so versatile seem so limited? Thankfully for those with a more adventurous palate there’s kofte to the rescue. Basically a spicy meatball, kofte is found in a variety of cuisines including Middle Eastern, North African, Indian, and Asian. Sometimes it’s cooked in a sauce, sometimes it’s grilled on a skewer. Always it’s a deliciously spiced mixture of one or more ground meats. Common additions include fresh herbs, onions, and garlic. 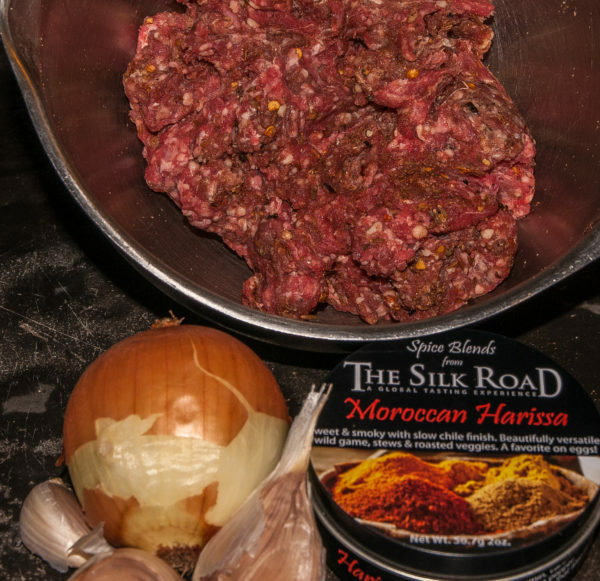 My favourite kofte includes a heavy dose of heat, a lot of garlic, and ground pastured lamb or beef. It has to be cooked on the barbecue to give it a delicious char. I prefer it served with a flat bread such as pita or naan. 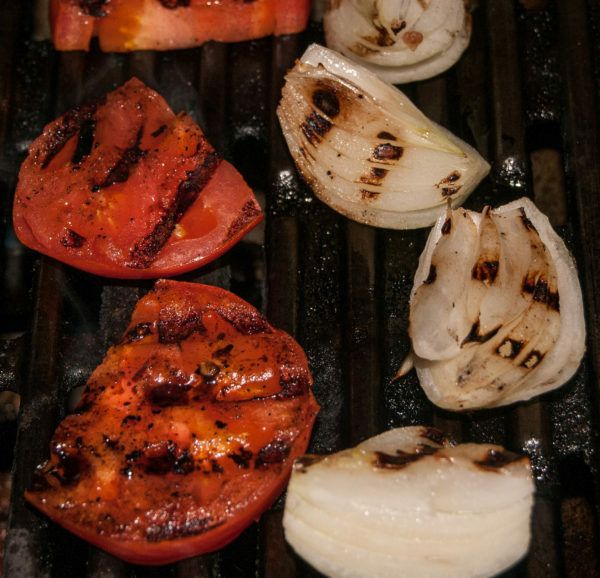 Perfect accompaniments include sauces such as hummus, or toum, and grilled veggies. Mix the meat and spices early in the day (or even a day in advance) so the flavours will really blend. You can make larger koftes for main meals or smaller ones for appys. Either way, make sure you adjust the cooking time for the size of the portion. And make lots, ’cause these suckers are good! Place all ingredients in a bowl and mix together well. Refrigerate for 6-8 hours. Scoop out a portion of meat (use about a Tbsp. 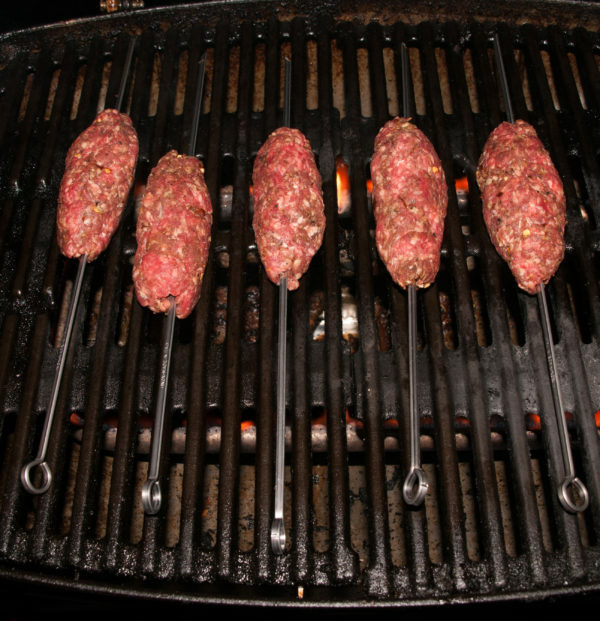 for an appetizer portion, or a fistful for a meal portion) and mold it into a sausage shape around a flat metal skewer. Repeat until all the meat is molded. Heat BBQ to medium high. 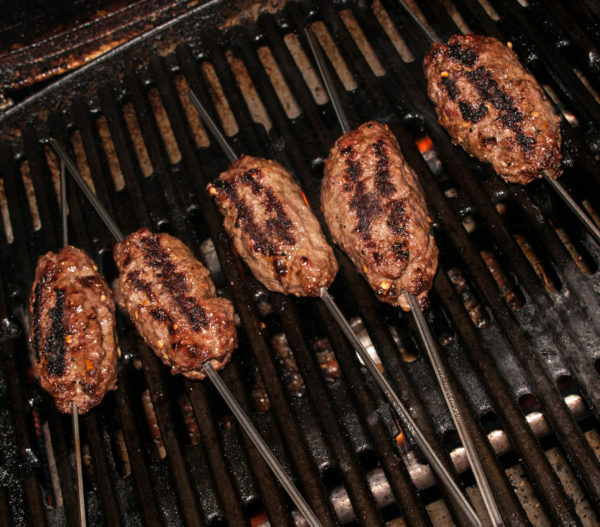 Place the skewered meat on the grill and cook until done, turning once. Remember that smaller portions will cook faster, so don't overcook the meat. 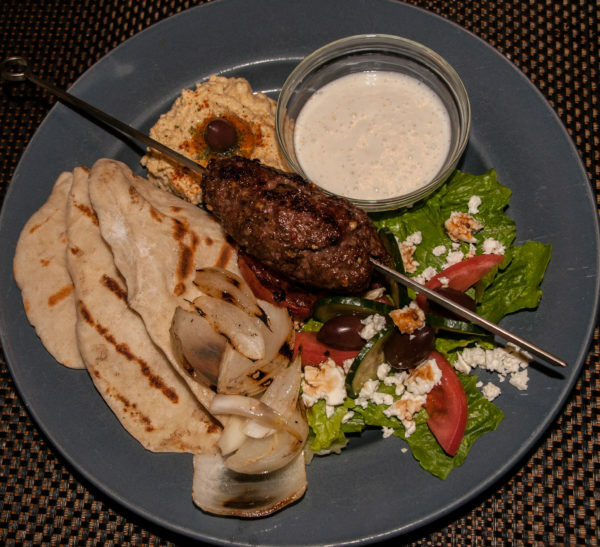 Serve kofte with grilled onion and tomato, pickled turnip, toum, hummus, and pita.